Are Police in America Now a Military, Occupying Force? Despite the steady hue and cry by government agencies about the need for more police, more sophisticated weaponry, and the difficulties of preserving the peace and maintaining security in our modern age, the reality is far different. Indeed, violent crime in America has been on a steady decline, and if current trends continue, Americans will finish the year 2013 experiencing the lowest murder rate in over a century. Despite this clear referendum on the fact that communities would be better served by smaller, demilitarized police forces, police agencies throughout the country are dramatically increasing in size and scope. Some of the nation’s larger cities boast police forces the size of small armies. For example, the Los Angeles Police Department (LAPD) has reached a total of 10,000 officers. It takes its place alongside other cities boasting increasingly large police forces, including New York (36,000 officers) and Chicago (13,400 officers). When considered in terms of cops per square mile, Los Angeles assigns a whopping 469 officers per square mile, followed by New York with 303 officers per square mile, and Chicago with 227 cops per square mile. For those who want to credit hefty police forces for declining crime rates, the data just doesn’t show a direct correlation. In fact, many cities across the country actually saw decreases in crime rates during the 1990s in the wake of increasing prison sentences and the waning crack-cocaine epidemic. Cities such as Seattle and Dallas actually cut their police forces during this time and still saw crime rates drop. 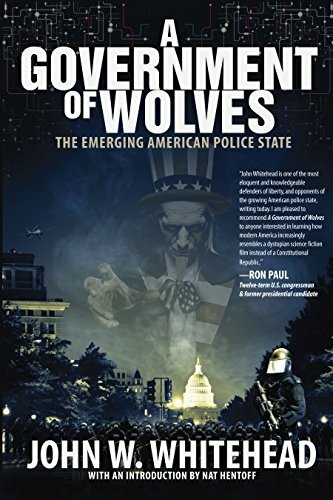 As I point out in my new book, A Government of Wolves: The Emerging American Police State, there was a time in our nation’s history when Americans would have revolted against the prospect of city police forces the size of small armies, or rampaging SWAT teams tearing through doors and terrorizing families. Today, the SWAT team is largely sold to the American public by way of the media, through reality TV shows such as Cops, Armed and Famous, and Police Women of Broward County, and by politicians well-versed in promising greater security in exchange for the government being given greater freedom to operate as it sees fit outside the framework of the Constitution. Consider that in 1980, there were roughly 3,000 SWAT team-style raids in the US. By 2001, that number had grown to 45,000 and has since swelled to more than 80,000 SWAT team raids per year. On an average day in America, over 100 Americans have their homes raided by SWAT teams. In fact, there are few communities without a SWAT team on their police force today. In 1984, 25.6 percent of towns with populations between 25,000 and 50,000 people had a SWAT team. That number rose to 80 percent by 2005. It all started back in the 1980s, when Congress launched the 1033 Program to allow the Department of Defense to transfer surplus military goods to state and local police agencies. The 1033 program has grown dramatically, with some 13,000 police agencies in all 50 states and four US territories currently participating. 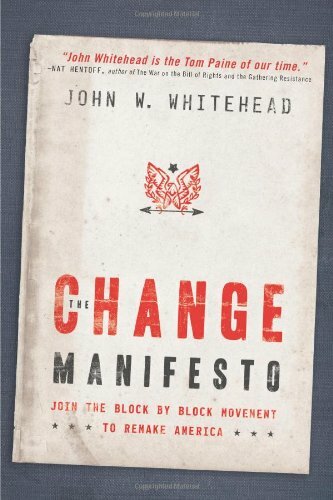 Clearly, the government has all but asphyxiated the Fourth Amendment, but what about the Third Amendment, which has been interpreted to not only prohibit the quartering of soldiers in one’s home and martial law but The Change Manifesto: ... John W Whitehead Best Price: $1.59 Buy New $21.99 (as of 09:10 EDT - Details) standing armies? While most Americans—and the courts—largely overlook this amendment, which at a minimum bars the government from stationing soldiers in civilian homes during times of peace, it is far from irrelevant to our age. Indeed, with some police units equivalent in size, weaponry and tactics to military forces, a case could well be made that the Third Amendment is routinely being violated every time a SWAT team crashes through a door. A vivid example of this took place on July 10, 2011, in Henderson, Nevada, when local police informed homeowner Anthony Mitchell that they wanted to occupy his home in order to gain a “tactical advantage” in dealing with a domestic abuse case in an adjacent home. Mitchell refused the request, but this didn’t deter the police, who broke down Mitchell’s front door using a battering ram. Five officers pointed weapons at him, ordering him to the ground, where they shot him with pepper-ball projectiles. It is this intersection of law enforcement and military capability which so worried the founding fathers and which should worry us today. What Americans must decide is what they’re going to do about this occupation of our cities and towns by standing armies operating under the guise of keeping the peace.